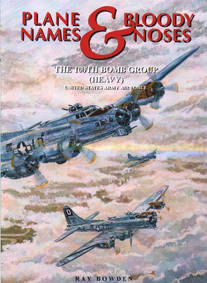 Phil Dickey painted this nose art for Major Edward McComas, the commanding officer of the 118TRS. McComas hailed from Hayes, Kansas, which is situated right in the middle of "Tornado Alley" -- hence the image of the cartoon tornado and scythe. 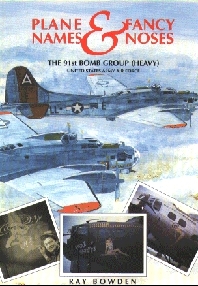 Phil Dickey painted the nose while the squadron was at Guskhara, India, flying fighter cover for the B-29s. 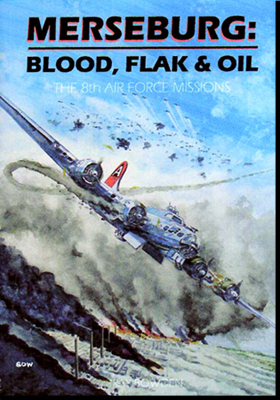 Major McComas, later Colonel, would become the 4th highest scoring ace in the 14th Air Force in China, claiming 14 victories between October and December 1944, and the only "Ace in a Day" for the 14AF when he shot down five Japanese aircraft on 23rd December 1944. 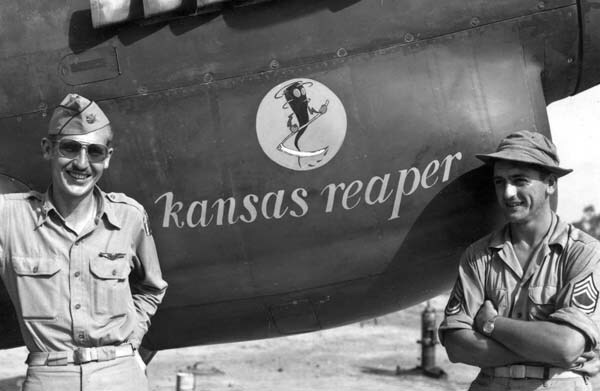 By then, McComas was flying a P51 Mustang having forsaken the weary "Kansas Reaper" Warhawk.His new Mustang, an F-6C, was named "Miss Revenge" by McComas with his crew chief adding "Barbaras". It was also emblazoned with the black lightning flash outlined in yellow which ran from spinner right back to the tail fin. 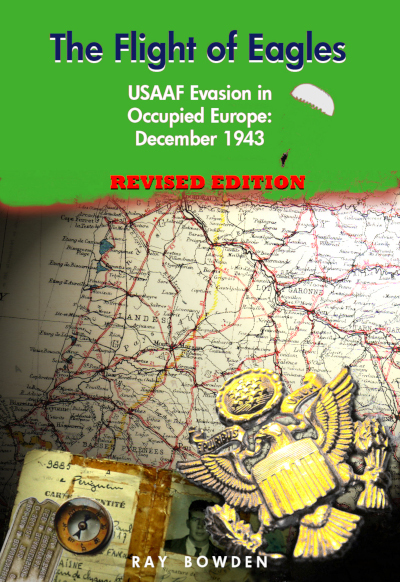 By late December it also sported 8 aerial victories plus three more destroyed on the ground, on the 23rd his five "ace-in-a-day" aerial kills were added with yet another on Christmas Eve. McComas was later also credited with sinking a destroyer in Hong Kong harbour. On Christmas Day, General Claire presented LtCol McComas with a brand new P51D.